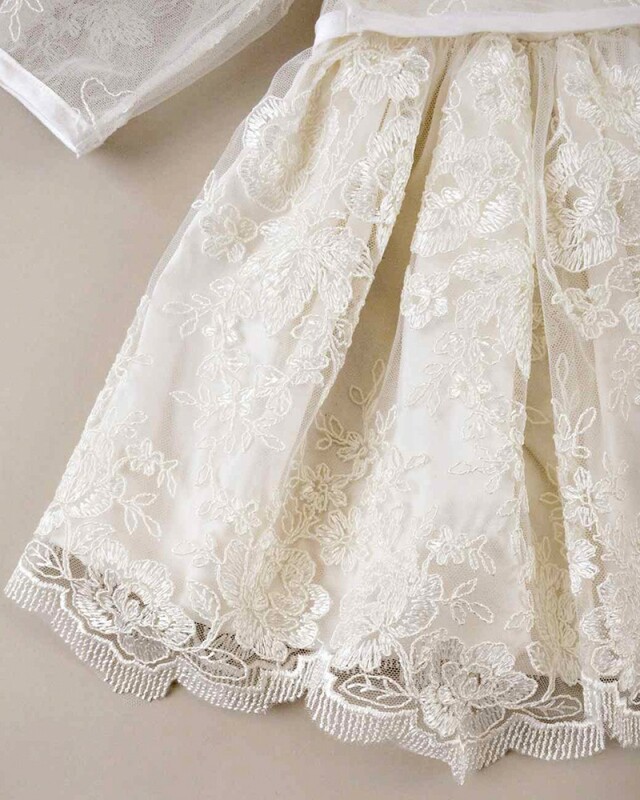 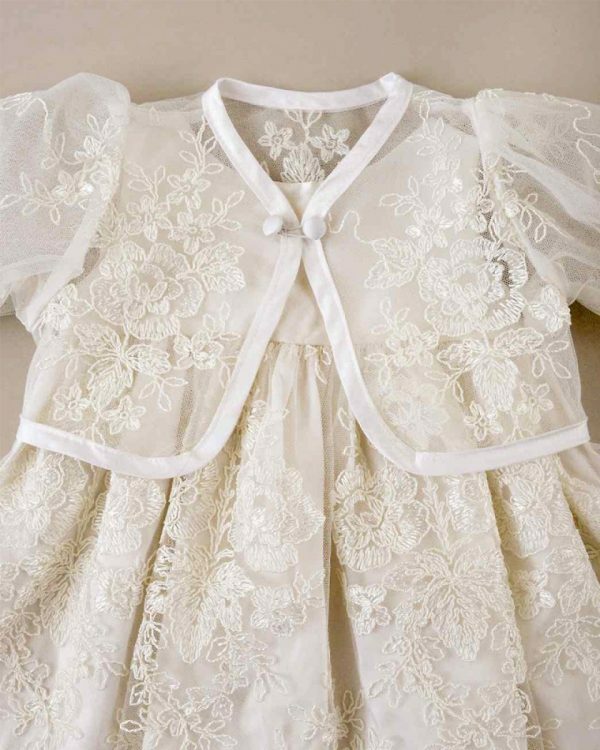 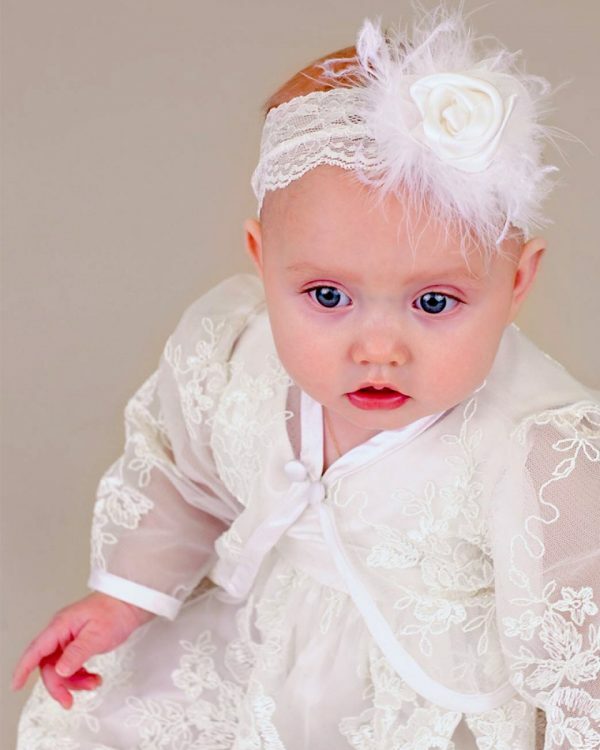 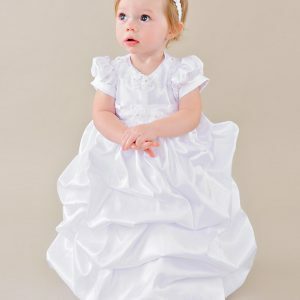 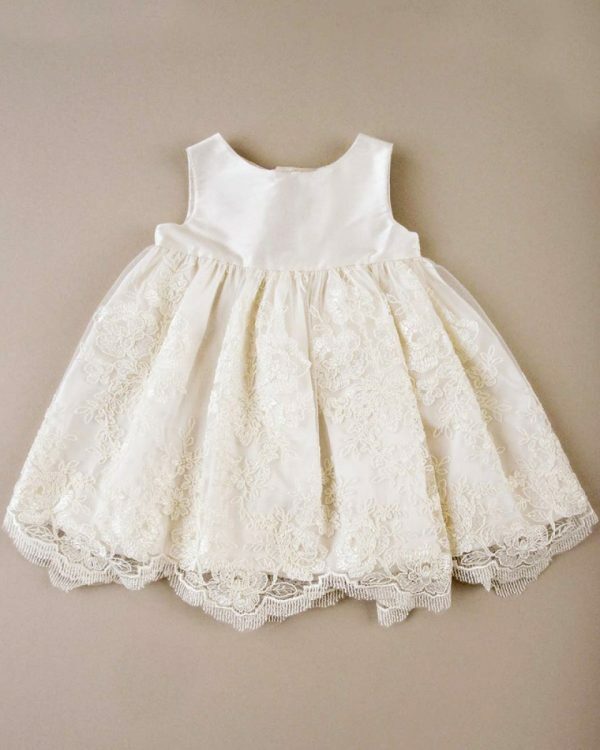 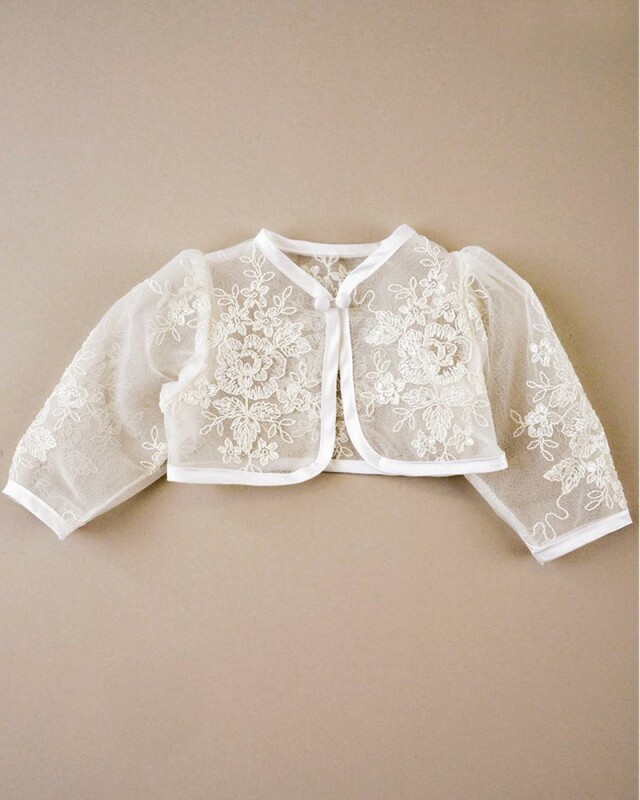 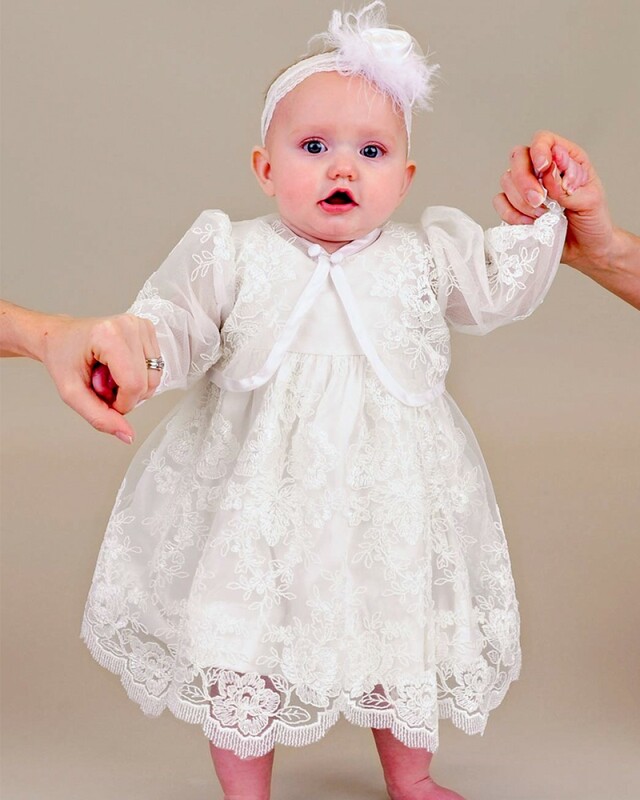 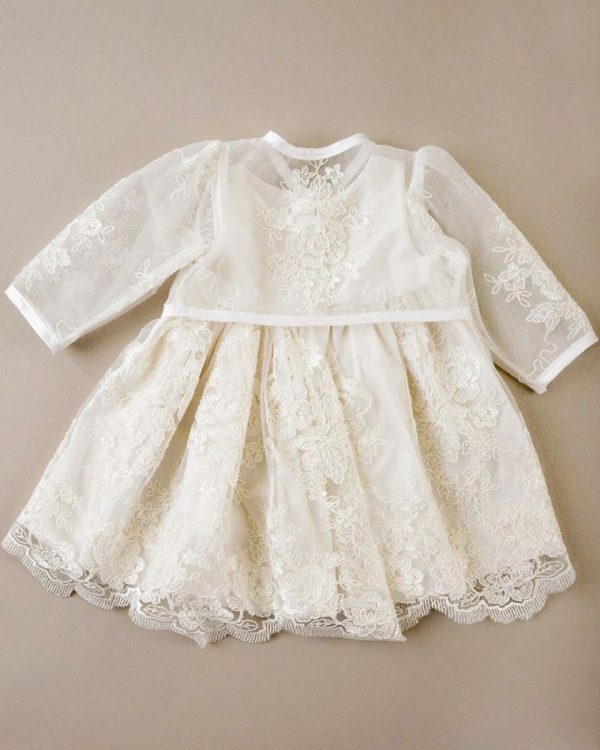 Celebrate her special day with this rich lace jacket dress for baby. 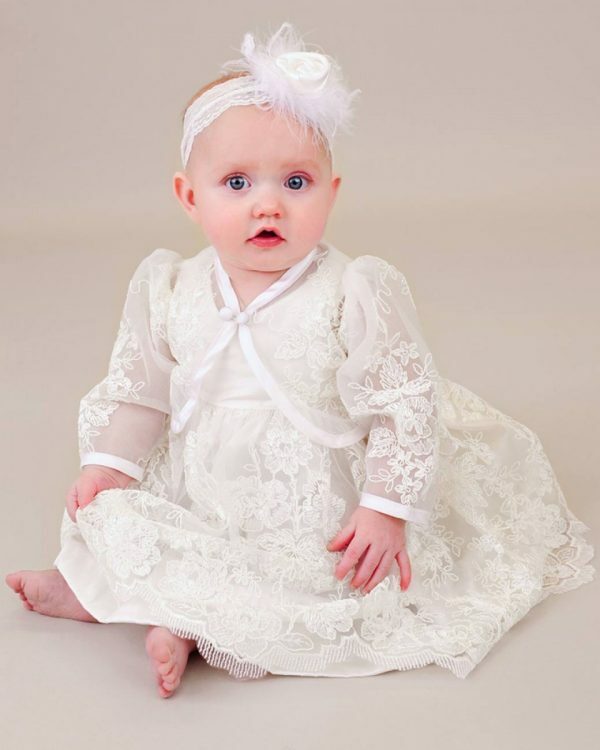 Headband sold separately. 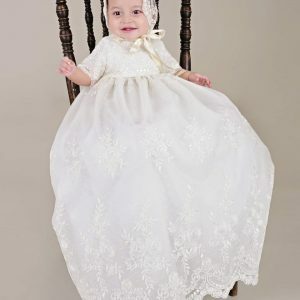 3-piece outfit includes jacket, and dress. 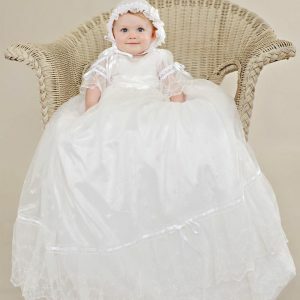 Matching headband sold separately.